"Some Remarks about Two Trials of Mach's Principle Realization", Acta Physica Polonica B1, 1970, z. 2, pp. 123-130. "Mach's Principle and Differentiable Manifolds", Acta Physica Polonica B1, 1970, z. 2, pp. 131-138. M. Heller, Z. Klimek, L. Suszycki, "Imperfect Fluid Friedmannian Cosmology", Astrophysics and Space Science 20, 1973, pp. 205-212. M. Heller, L. Suszycki, "Dust-Filled Viscous Universes", Acta Physica Polonica B5, 1974, pp. 345-351. "On the Interpretative Paradox in Cosmology", Acta Cosmologica 2, 1974, pp. 37-41. M. Heller, Z. Klimek, K. Rudnicki, "Observational Foundations for Assumptions in Cosmology", [in:] Confrontation of Cosmological Theories with Observational Data (Symposium IAU, Cracow), [ed. :] M.S. Longair, Reidel Publishing Company 1974, pp. 3-11. M. Heller, L. Suszycki, "The Influences of Bulk Viscosity on the Existence of the Initial Singularity", [in:] Confrontation of Cosmological Theories with Observational Data (Symposium IAU, Cracow), [ed. :] M.S. Longair, Reidel Publishing Company 1974, pp. 287-289. "Mach's Principle and Bundle of Geometric Quantities", Astrophysics and Space Science 32, 1975, L29-L31. "Energy Conditions and Inhomogenities in the Universe", Astrophysics and Space Science 33, 1975, L33-L35. M. Heller, Z. Klimek, "Viscous Universes without Initial Singularity", Astrophysics and Space Science 33, 1975, L37-L39. "Some Remarks about the Concept of Cosmic Time", Acta Cosmologica 32, 1975, pp. 41-44. "Space-Time Manifolds and the Inertial Frames", Acta Cosmologica 32, 1975, pp. 45-48. "Rotating Bodies in General Relativity", Acta Cosmologica 32, 1975, pp. 97-107. "Global Time Problem in Relativistic Cosmology", Annales de la SociĂŠtĂŠ Scientifique de Bruxelles 4/89, 1975, pp. 522-532. M. Heller, M. Reinhardt, "Meaningless Questions in Cosmology and Relativistic Astrophysics", Zeitschrift fĂźr Naturforschung 31a, 1976, pp. 1271-1276. "Space-Time Structures", Acta Cosmologica 6, 1977, pp. 109-128. "Nabludatelnyje osnowania kosmoĹogiczeskich gipotez", [w:] Kosmologia - tieoria i nabludienia, Izd. Mir, Moskwa 1978, ss. 15-26. "Wlijanije obiemnoj wjaskosti na suszczestwowanije naczalnoj singuljarnosti", [w:] Kosmologia - tieoria i nabludienia, Izd. Mir, Moskwa 1978, ss. 366-368. "Singularities in Viscous Universes", Acta Cosmologica 7, 1978, pp. 7-15. "Local - Large Scale - Global. On Certain Methodological Questions of Cosmology", Acta Cosmologica 7, 1978, pp. 83-99. M. Heller, T. GrabiĹska, M. Zabierowski, "Local Electromagnetic Field Propagation in the Imperfect Fluid Friedman Cosmology", Acta Physica Polonica B10, 1979, pp. 663-665. "The Manifold Model for Space-Time", Acta Cosmologica 10, 1981, pp. 33-50. "Relativistic Model for Space-Time", Acta Cosmologica 10, 1981, pp. 53-69. M. Heller, A. Staruszkiewicz, "Fuzzy Space-Time", Zeitschrift fĂźr Naturforschung 36a, 1981, pp. 609-610. "Matter and Radiation Models in the Standard Universe", Acta Cosmologica 11, 1982, pp. 11-25. M. Heller, M. SzydĹowski, "Remark on an Application of the Banach Metric Method to Cosmology", Acta Physica Polonica B13, 1982, pp. 375-377. M. Heller, M. Ostrowski, A. Woszczyna, M. SzydĹowski (nazwisko tego ostatniego opuszczono w druku przez pomyĹkÄ), "Steady-State versus Viscous Cosmology", Astrophysics and Space Science 87, 1982, pp. 425-433. M. Heller, M. SzydĹowski, "Viscous Cosmological Models with Matter and Radiation", Acta Physica Polonica B14, 1983, pp. 303-306. M. Heller, M. SzydĹowski, "Tolman's Cosmological Models", Astrophysics and Space Science 90, 1983, pp. 327-335. M. Heller, Z. Golda i M. SzydĹowski, "Structurally Stable Approximations to Friedman-LemaĂŽtre World Models", Astrophysics and Space Science 90, 1983, pp. 313-326. M. SzydĹowski, M. Heller, "Equation of State and Equation Symmetries in Cosmology", Acta Physica Polonica B14, 1983, pp. 571-580. J. Gruszczak, M. Heller, M. SzydĹowski, "The Universe as a Stochastic Process", Physics Letters 100A, 1984, pp. 82-84. M. SzydĹowski, M. Heller, Z. Golda, "Structural Stability Properties of Friedman Cosmology", General Relativity and Gravitation 16, no 9, 1984, pp. 877-890. J. Gruszczak, M. Heller, "Singularities in a Stochastically Predictable Universe", Physics Letters 106A, 1984, pp. 13-15. M. Heller, P. MultarzyĹski, W. Sasin, "The Algebraic Approach to Space-Time Geometry", Acta Cosmologica 16, 1984, pp. 53-55. "Physics and Cosmology - Geometry for Grand Unification", Acta Cosmologica 13, 1985, pp. 35-54. M. Heller, G. Siemieniec, "Empirical Evidence for Inertial Mass Anisotropy", Acta Cosmologica 13, 1985, pp. 55-63. M. SzydĹowski, M. Heller, Z. Golda, "Stochastic Properties of the Friedman Dynamical System", Acta Physica Polonica B16, 1985, pp. 791-798. M. Heller, M. SzydĹowski, A. Woszczyna, "Cosmic Time and Chaos", Acta Physica Polonica B17, 1986, pp. 11-18. M. SzydĹowski, M. Heller, Z. Golda, "Stochastic Time Scale for the Universe", Acta Physica Polonica B17, 1986, pp. 19-24. M. DemiaĹski, Z.A. Golda, M. Heller, M. SzydĹowski, "The Dimensional Reduction in a Multi-dimensional Cosmology", Classical and Quantum Gravity 3, 1986, pp. 1199-1205. "On the Cosmological Problem", Acta Cosmologica 14, 1986, pp. 57-72. "Big Bang on Ultimate Questions", [in:] Origin and Early History of the Universe, Proceedings of the 26th Lige International Astrophysical Colloquium, July 1-4, 1986, UniversitĂŠ de LiĂ¨ge, Institut d'Astrophysique 1987, pp. 411-431. M. DemiaĹski, M. Heller, M. SzydĹowski, "Dynamics of Multidimensional Generalization of Bianchi Type - IX Cosmological Models", Physical Revue D36, 1987, pp. 2945-2854. M. DemiaĹski, Z.A. 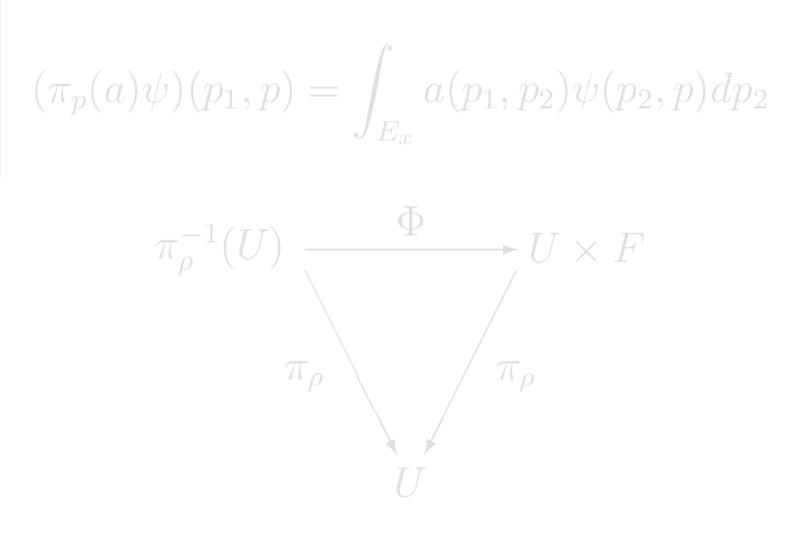 Golda, M. Heller, M. SzydĹowski, "Kantowski-Sachs Multidimensional Cosmological Models and Dimensional Reduction", Classical and Quantum Gravity 5, 1988, pp. 733-742. J. Gruszczak, M. Heller, P. MultarzyĹski, "A Generalization of Manifolds as Space-Time Models", Journal of Mathematical Physics 29 (December) 1988, pp. 2576-2580. P. MultarzyĹski, M. Heller, "The Differential and Cone Structures of Space-Time", Foundations of Physics 20, 1990, pp. 1005-1015. A. Woszczyna, M. Heller, "Is a Horizon-free Cosmology Possible", General Relativity and Gravitation 22, no 12, 1990, pp. 1367-1386. M. Heller, W. Sasin, "Regular Singularities in Space-Time", Acta Cosmologica 17, 1991, pp. 7-18. M. Heller, P. MultarzyĹski, W. Sasin, Z. Ĺťekanowski, "Local Differential Dimension of Space-Time", Acta Cosmologica 17, 1991, pp. 19-26. J. Gruszczak, M. Heller, Z. Pogoda, "Cauchy Boundary and b-Incompleteness of Space-Time", International Journal of Theoretical Physics 30, 1991, pp. 555-565. "Algebraic Foundations of the Theory of Differential Spaces", Demonstratio Mathematica 24, no 3-4, 1991, pp. 349-364. "Einstein Algebras and General Relativity", International Journal of Theoretical Physics 31, no 2, 1992, pp. 277-278. M. Heller, P. MultarzyĹski, W. Sasin. Z. Ĺťekanowski, "On Some Generalizations of the Manifold Concept", Acta Cosmologica 18, 1992, pp. 31-44. J. Gruszczak, M. Heller, W. Sasin, "Quasiregular Singularity of a Cosmic String", Acta Cosmologica 18, 1992, pp. 45-55. M. Heller, W. Sasin, A. Trafny, Z. Ĺťekanowski, "Differential Spaces and New Aspects of Schmidt's b-Boundary of Space-Time", Acta Cosmologica 18, 1992, pp. 57-75. T. Stawicki, M. SzydĹowski, M. Heller, "On Dynamical Dimensional Reduction", Physics Letters A173, 1993, pp. 247-251. "Geometry of Transition to Quantum Gravity Regime", Acta Physica Polonica B24, 1993, pp. 911-926. M. Heller, W. Sasin, "Generalized Friedman's Equation and Its Singularities", Acta Cosmologica 19, 1993, pp. 23-33. W. Sasin, M. Heller, "Space-Time with Boundary as a Generalized Differntial Space", Acta Cosmologica 19, 1993, pp. 35-44. A. Woszczyna, M. Heller, "Particle Horizon - A Generic Property of the Universe", Acta Cosmologica 19, 1993, pp. 45-57. J. Gruszczak, M. Heller, "Differential Structure of Space-Time and Its Prolongations to Singular Boundaries", International Journal of Theoretical Physics 32, 1993, pp. 625-648. M. SzydĹowski, M. Heller, B. Ĺapeta, "Evolution of the Density Parameter in Multidimensional Cosmologies", Physical Revue D47, 1993, pp. 460-467. M. Heller, W. Sasin, "The Structure of the b-Completion of Space-Time", General Relativity and Gravitation 26, 1994, pp. 797-811. M. SzydĹowski, M. Heller, "Lyapunov Characteristic Time Scale in the Mixmaster World Models", Acta Cosmologica 20, no 1, 1994, pp. 17-26. "Space and Time in Quantum Mechanics", Acta Cosmologica 20, no 2, 1994, pp. 129-145. M. Heller, W. Sasin, "Sheaves of Einstein Algebras", International Journal of Theoretical Physics 34, 1995, pp. 387-398. M. Heller, W. Sasin, "Structured Spaces and Their Application to Relativistic Physics", Journal of Mathematical Physics 36, 1995, pp. 3644-3662. M. Heller, W. Sasin, "Anatomy of the Elementary Quasi-Regular Singularity", Acta Cosmologica 21, no 1, 1995, pp. 47-60. M. Heller, W. Sasin, "Superstructured Spaces", Acta Cosmologica 21, no 1, 1995, pp. 61-70. "Commutative and Non-commutative Einstein Algebras", Acta Cosmologica 21, no 2, 1995, pp. 235-245. M. SzydĹowski, M. Heller, W. Sasin, "Geometry of Spaces with the Jacobi Metric", Journal of Mathematical Physics 37, 1996, pp. 346-360. M. Heller, W. Sasin, "Noncommutative Structure of Singularities in General Relativity", Journal of Mathematical Physics 37, 1996, pp. 5665-5671. "La matiĂŠre, quelle importance lui donner? (La matiĂŠre vue par la physique et la cosmologie)", (przekĹad z ang. : L. Morren), Revue des Questions Scientifiques 167, 1996, pp. 121-130. M. Heller, W. Sasin, "The Closed Friedman World Model with the Initial and Final Singularities as Non-commutative Space", Banach Center Publications, vol. 41: Mathematics of Gravitation, part I: Lorentzian Geometry and Einstein Equations, [ed. :] P.T. ChruĹciel, Warszawa 1997, pp. 153-162. M. Heller, W. Sasin, "Rigorous Model of Classical Spacetime Foam", International Journal of Theoretical Physics 36, 1997, pp. 1441-1455. M. Heller, W. Sasin, D. Lambert, "Groupoid Approach to Noncommutative Quantization of Gravity", Journal of Mathematical Physics 38, 1997, pp. 5840-5853. "Teoria grawitacji i kosmologia", XXXIV Zjazd FizykĂłw Polskich (15-18 wrzeĹnia 1997, Katowice), MateriaĹy Zjazdu, [red. :] Jerzy Warczewski, Deni-Press, Katowice 1997, ss. 52-58. M. Heller, D. Lambert, J. Madore, "A Brief History of Noncommutative Space-Time", Acta Cosmologica 24, no 1, 1998, pp. 51-69. "Some Conceptual Problems of the Groupoid Approach to Noncommutative Quantization of Gravity", Acta Cosmologica 24, no 1, 1998, pp. 71-85. M. Heller, W. Sasin, "Differential Groupoids and Their Application to the Theory of Spacetime Singularities", International Journal of Theoretical Physics 41, 2002, pp. 919-937. M. Heller, Z. OdrzygĂłĹşdĹş, L. Pysiak, W. Sasin, "Quantum Groupoids of the Final Type and Quantization on Orbit Spaces", Demonstratio Mathematica 37, no 3, 2004, pp. 671-678. "Some Remarks on the Multiverse Concept", Concepts of Physics 1, 2004, pp. 1-10. M. Heller, L. Pysiak, W. Sasin, "Noncommutative Unification of General Relativity and Quantum Mechanics", Journal of Mathematical Physics 46, 2005, pp. 122501-16. M. Heller, L. Pysiak, W. Sasin, "Inner Geometry of Random Operators", Demonstratio Mathematica 39, no 4, 2006, pp. 971-978. "Predictability, Measurements and Cosmic Time", [in:] Predictability in Science: Accuracy and Limitations, The Proceedings of the Plenary Session 3-6 November 2006, Pontificia Academia Scientiarum, Acta 19, Vatican City, 2008, pp. 155-161. "Where Physics Meets Metaphysics", [in:] A. Connes, M. Heller, Sh. Majid, R. Penrose, J. Polkinghorne, A. Tylor, On Space and Time, [ed. :] Sh. Majid, Cambridge University Press, Cambridge 2008, pp. 238-277.